Oxfordshire Past 2019 will be held on Saturday 8 June at the Corn Exchange, Market Square, Witney OX28 6AB from 10.00 a.m. to 4.00 p.m. This enjoyable annual event in the Oxfordshire calendar is for anyone interested in history, buildings and archaeology. Stalls and exhibits will be open throughout the day. Attendance at Oxfordshire Past costs £7 and must be booked in advance. The fee of £7 includes tea/coffee but not lunch. The OAHS journal Oxoniensia is now available online. All but the most recent five volumes are freely available under a Creative Commons licence; the most recent volumes are available to subscribers. Welcome to the O.A.H.S. website. The websites for Oxoniensia and Oxfordshire Past have also been updated. If you are a member of OAHS, this site will allow you to manage your membership online, check and make payments, book parties and excursions and also access all volumes of Oxoniensia online. If you are not yet a member you are welcome to browse the site and to attend our lectures; you can also read older volumes of Oxoniensia at our Oxoniensia site. Details of the current lecture programme can be found in the diary. Help us find new members! and selecting 'Save link as...'. O.A.H.S. maintains three sites for public use (this site, Oxoniensia, and Oxfordshire Past) without any advertising. Donations to help with our costs are always very welcome. 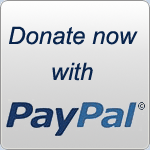 You can make a donation using the button to the right. 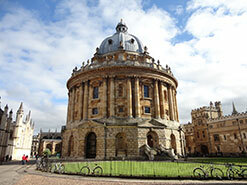 Oxfordshire Architectural and Historical Society is a registered charity, registration number 259055.